The Great Recession, which began in 2007 and officially ended in 2009, had a large impact on the Latino community. More Latino children are living in poverty—6.1 million in 2010—than children of any other racial or ethnic group. This marks the first time in U.S. history that the single largest group of poor children is not white. 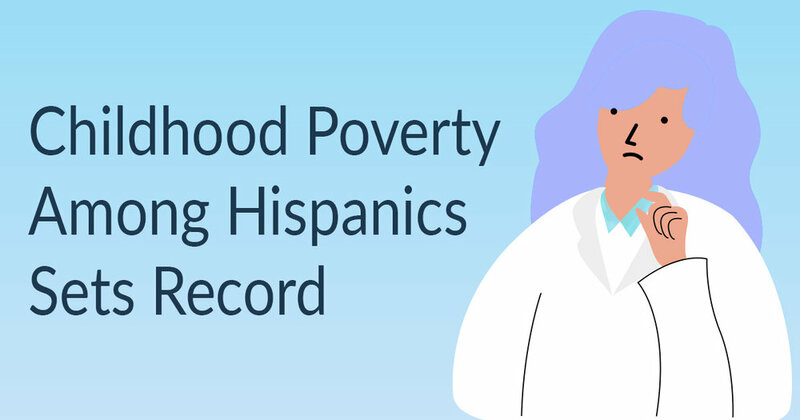 In 2010, 37.3% of poor children were Latino, 30.5% were white and 26.6% were black, according to an analysis of new data from the U.S. Census Bureau by the Pew Hispanic Center, a project of the Pew Research Center. This negative milestone for Hispanics is a product of their growing numbers, high birth rates and declining economic fortunes. According to the 2010 U.S. Census, Hispanics today make up a record 16.3% of the total U.S. population. But they comprise an even larger share—23.1%—of the nation’s children (Passel, Cohn and Lopez, 2011), a disparity driven mainly by high birth rates among Hispanic immigrants (Pew Hispanic Center, 2011). According to the 2010 Census, some 53.5% of children are white and 14.6% of children are black. Of the 6.1 million Latino children living in poverty, more than two-thirds (4.1 million) are the children of immigrant parents, according to the new Pew Hispanic Center analysis. The other 2 million are the children of parents born in the U.S. Among the 4.1 million impoverished Latino children of immigrants, the vast majority (86.2%) were born in the U.S.